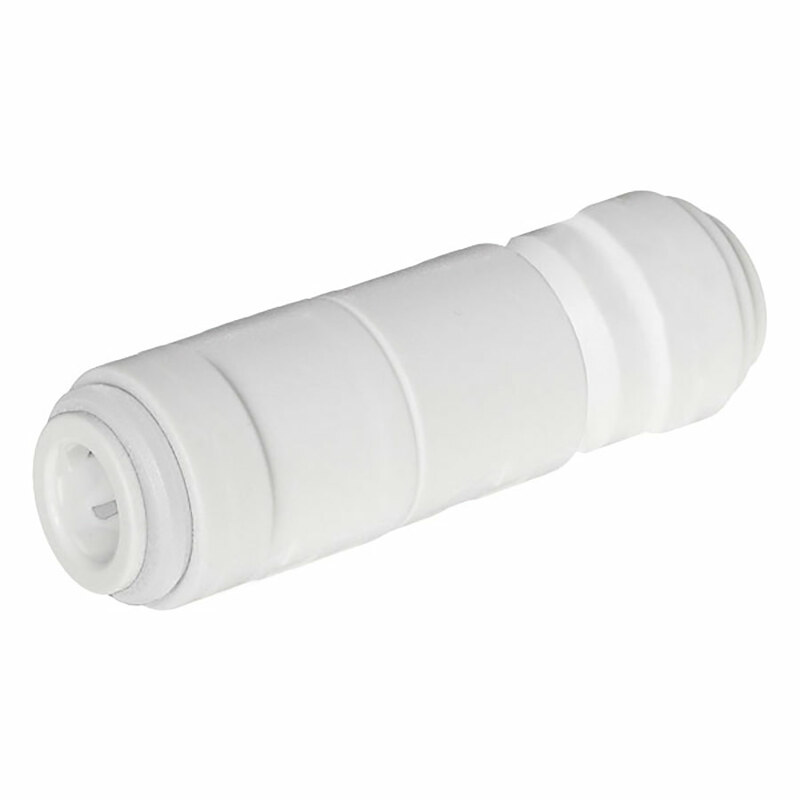 Produced at the request of leading companies in the Drinks Dispense industry, the Super Speedfit acetal Single Check Valve ensures protection against reversal of flow. This 1/4" valve can be mounted in any position and an arrow molded into the body indicates direction of flow. They are designed for connection to either plastic or soft metal tube and they are intended for liquids only. Note that they are not suitable for air and vacuum applications. The inner valve is spring loaded and the fitting produces low headloss. It is the responsibility of the end user to verify that the product is suitable for his specific application. It is also recommended that the non-return valve is regularly checked and maintained.